To follow your dream speaks of a fundamental human need of wanting to be more, have more, do more in our lives. You are born with the inherent gift to dream for something better. 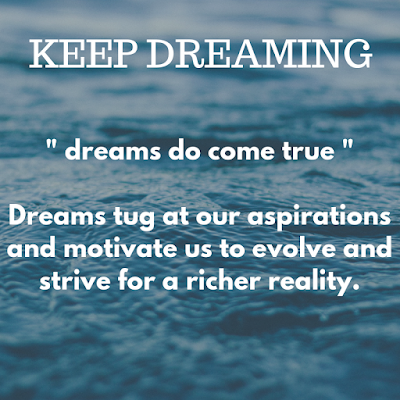 The words " dreams do come true " tug at our aspirations and motivate us to evolve and strive for a richer reality and purpose. Our dreams fuel our hope and can strengthen our wellbeing and develop our uniqueness. It also comes with a warning. 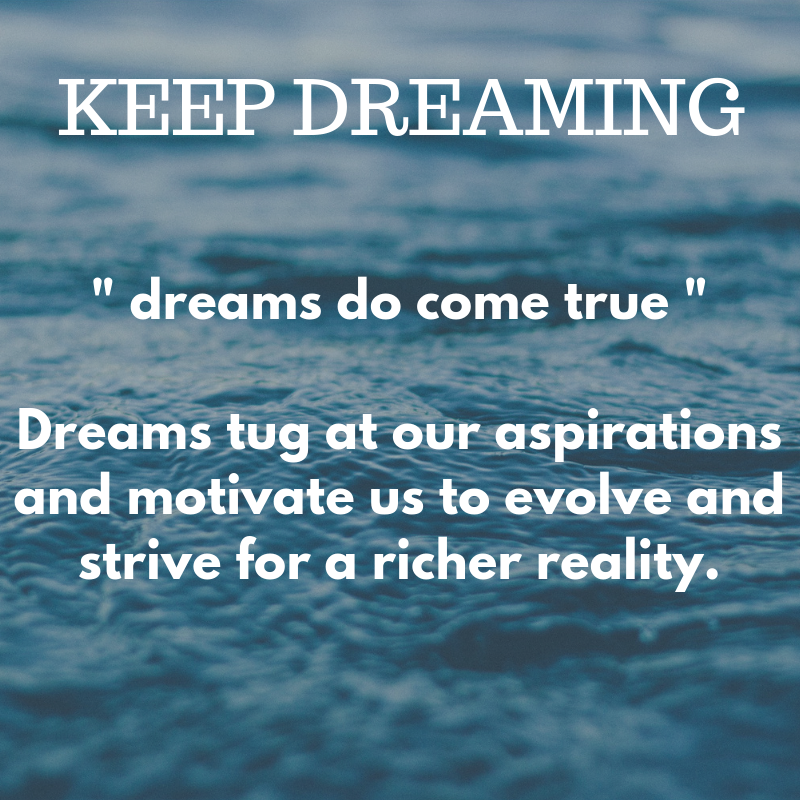 Our consumer culture and materialistic values can skew our big dreams. If we are not grounded in who we are, the want is like filling a leaky bucket, there is never enough. You talk yourself into never enough...and you believe the deception that what I dream for in my life is always out of reach. We can lose sight of what is important in our life. The dream that is not well thought out can lead to risky decisions, failure and inner conflict. Recognise that there is power here when dream and purpose unite. Your dream still needs structure, momentum and a skill set. A reality check provides you the wisdom to see how your dream can be a reality and the part you are playing in it, to make it happen. 1. Reflect on the Why for your dream. Why is it important to you? 2. Think about what it would be like to have this dream come true...not in a "dreamy" way, but in a real everyday way. 3. Be honest with yourself, that this dream is genuinely yours. You are not conforming to what other people, latest trends or society want for you. Knowing yourself and your core values keeps you grounded in your truth and take ownership of what you aspire to for your life. You don't want to go down a rabbit hole and find out later this was not what you wanted. 4. Why will my dream be of benefit to others? There is more momentum when you bring your relationships or the wider community into your dream. Think outside your own world. The effect you have on others is the most valuable gift. 1. What is working in your favour? 2. What do I need to make this happen? The reality is that there maybe things in your life now that will need change for your dream to happen. 3. What does this dream you have look like? Be clear and write it down. Explore the journey you are on as it is far more important than the results. 4. What system do you need to put in place? Examine your daily actions...what habits, what is the thinking that will speed the progress of your dream? & so keep on dreaming because..."the best way to predict your future is to create it" Abraham Lincoln. Are you paying attention to the Law of Attraction? There is so much advice out there on The Law of Attraction (LoA). Are you paying attention? 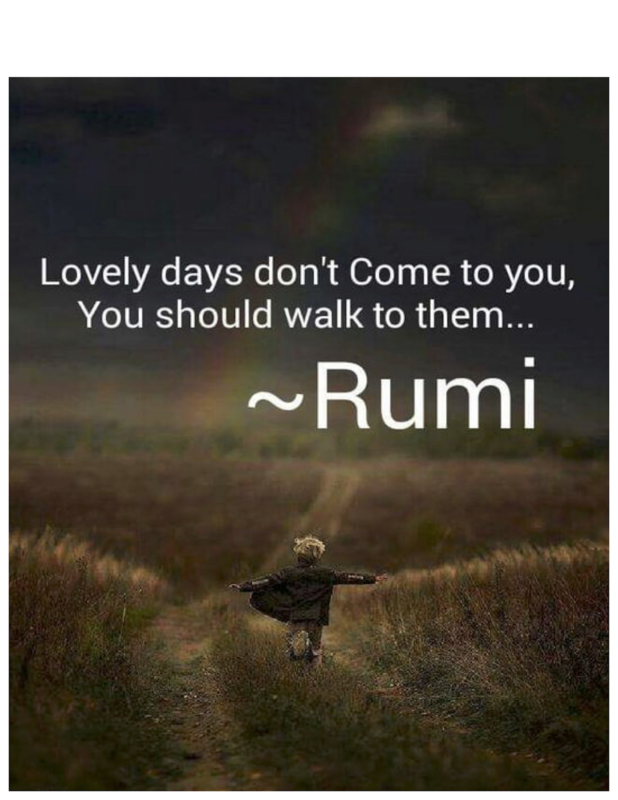 LoA ...along with other universal laws, explains that our thinking, our beliefs, our imagination, our intention has the ability to shape our environment and direct the purpose to create our best life. Tread through the many interpretations of the LoA , be diligent in your knowledge because for some, the LoA has been skewed to be a wish list of wants with little or no attention given to what you really believe to be true. It is an inside out world and the LoA demonstrates the magnetism of your behaviours. Your perception of how you see yourself, how you view the world, began with the thoughts you allow to control your life. 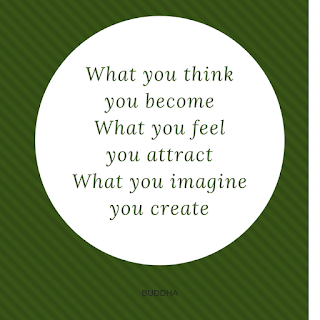 You think, feel, then exude and attract what you first have created in your thoughts. It is a continued strengthening of the mental rehearsal of the emotions followed naturally by your behaviours you choose to express in your life. These thoughts create the path to behaviours and whether it is a negative or positive intention it will generate its own power and is drawn from you and to you. "You attain that which you are - not simply what you want" Dr. W Dyer. To make the most of the Law of Attraction for your life......Practise filling your mind with thoughts and honest intentions that you wholeheartedly fully intend and know with certainty will come to you, for you and through you. Create the daily habit to be mindful of your worth and keep reaching for the thoughts that make you feel good. Strengthen your mental rehearsal to attract the best in your life by building the momentum of strong positive finishes to your personal statement of "I Am....."
Time will show you that you have left behind the thoughts that do not work in your favour. 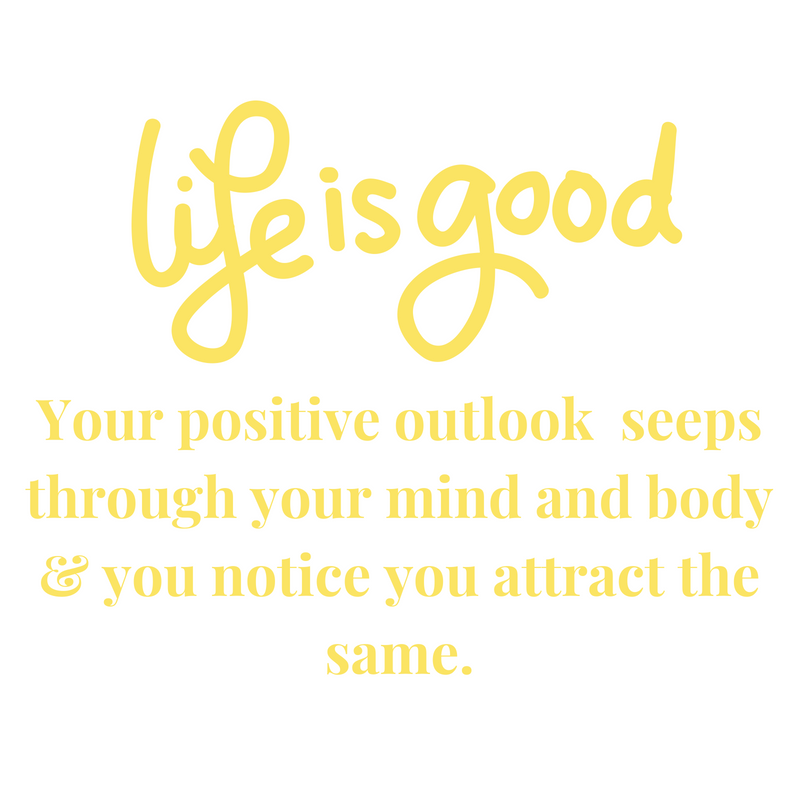 The LoA will draw more good thoughts to you. You will choose more of what serves you and shows the best of humanity. Be curious and learn from trusted sources how the Universal Laws work and why these laws impact your life. How do you achieve balance in your life? Are you searching for balance in your life, where you can get done what you want to get done and enjoy every moment? Do you lie in bed on a Sunday night, dreading the week ahead? It feels like there are so many competing priorities? 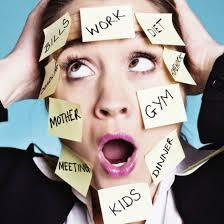 Do you get overwhelmed by all the business in your life? The direction for your life is set by others and you are not feeling in control? Do you feel like you are just surviving? Do you know what is a balanced life for you, not someone else's idea of what a balanced life looks like? Balance is what works for you. The clock is not a good indicator of a life in balance. When you put your life in compartments, time set for the job, time set for the family and relationships, time set for you and the belief that balance can be achieved in a systematic orderly way. It may look like you have your act together and all is in order, but remember life is always in motion and you need to adapt. When you set your life by the clock you are setting yourself up for ripples of frustration. Your balance is not based on the time you spent in each compartment of your life; they are achieved when you are enjoying the moment and the value it is bringing to you and to others. 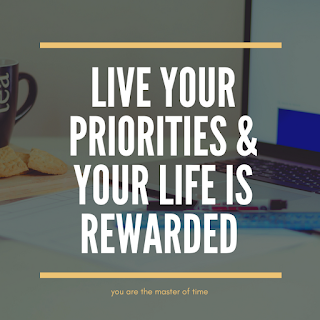 When you are juggling your job, others are relying on you to show up every day, when your day can go in so many different directions, assigning a percentage of your day to each "part" can pull you and put you off balance. When it comes to balance I think of how the tight rope walker uses balance and how the brain and the body work together, always in motion, readjusting to what is needed but focused on taking one step at a time. Balance comes from being in the present moment, to be able to adapt and adjust and get back on track. The compass is a good indicator of a life in balance. To source your balance work out what really is important, what are the priorities? Your priorities give you your compass direction. Balance starts from knowing what is important to you and what you want to focus on - you have set the direction, your compass direction. There will be urgent stuff to get done, the unexpected and that's ok, because you will readjust back to your compass direction. 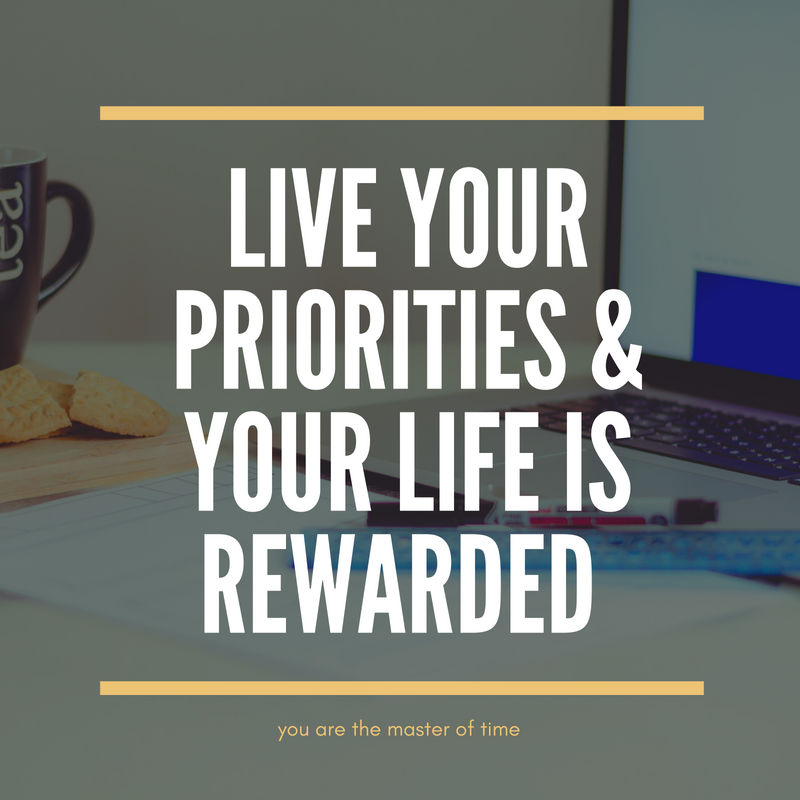 Working out your priorities is going to help with your goals and what you want to accomplish and more importantly see a shift in your life to sourcing the balance. Start small, it is better to make small adjustments over time, you are trying out what works for you. You make many, many choices everyday and are bombarded with the opinions of others. The positive view is setting you up to raise your expectations to expect the best, to look for the best, to seek out the best in you and in your world and to be the master of your choices, your decisions. You shift your perspective from pleasing someone else to showing yourself as incredible, unique and amazing. What you will reap is trusting your discernment in taking the right actions and to manage the contrasts in your life. It is not a fantasy life but one built on knowing that you have the strength of will to accept and expect life's opportunities and obstacles. 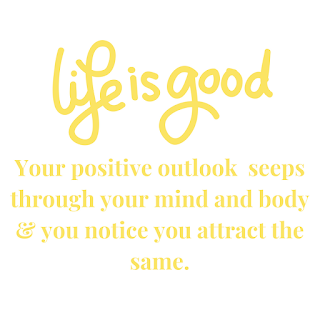 As your positive outlook starts to seep through your mind and body you notice you attract the same. The energy you exude is positive, your body language, the tone, pitch and pace of your voice portrays a person of wisdom. You have the ability to control how others perceive you. You decide how you want to be perceived. You decide the measure of influence you have. You are training yourself to focus. Watch your thoughts, question beliefs, weigh up the pros and cons, sharpen your awareness. You are seeing your life and the world around you with a wider lens. You will notice the opposite happens when you revert to the negative and your world gets smaller and tougher to handle. You are thinking and feeling positive....its a great day and what you also notice is that motivations come naturally and the day unfolds. There is a flow to what you do and a synchronicity to your life. This is just 5 and so many more can be added to the list. When you are in need of a boost to move more into a positive view...start with your habits. 1. Train your brain to think greater than the situation. Set your thinking to thankfulness, look for ways to be and show thanks. Do this habit every day..wake up giving thanks. Don't get up until you feel thankful. This will shape your thinking for the rest of the day. 2. Every negative deserves a positive. Consciously control your mental chatter. When you think, speak, act in a negative way....see it as sabotage, stop and change. Get in the habit of catching as many of the negatives as you can in a day...tomorrow you will do better. 3. Give your self 10 minutes every day to confirm your goals. Write them, say them, visualise them and of course be thankful that the goals you want, you have already. Our life stories prove that when your back is against the wall this is the time you find out what you are made of. Do you have the perspective that the challenges are an opportunity for you to push back, motivated to prove it can be done? Can you view the limitations as a way to show us what we are really capable of and the rush of our survival instinct is necessary as a motivator to choose our path? It is not that you would wish for hard times. In fact, the opposite would be our wish. A realistic intention is live your life to the full... & know that the challenges will come your way. 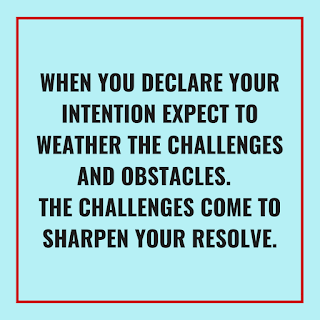 When you declare your intention and want to carve out your life choices expect to weather the challenges and obstacles. 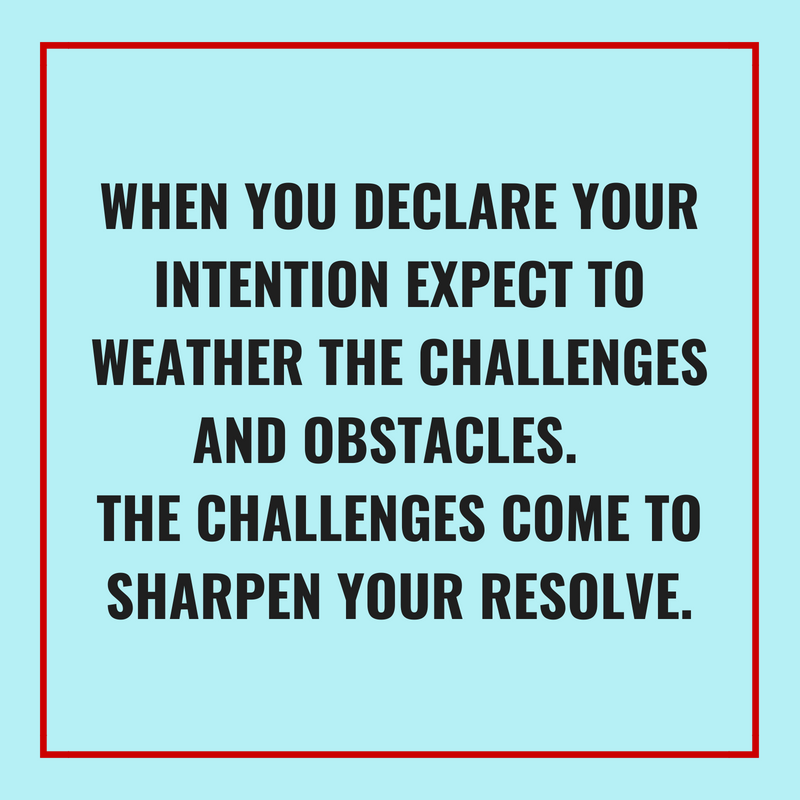 The challenges come to sharpen your resolve. You may stumble when you doubt that you have the strength, the skills, the smarts to push through. Years of conditioning can do that to you. The tragic thing you could do is accept the worst for you, settle for the little and live the confined experience of the victim. It is a shrivelled life with fear calling the shots. Fear will always be there and I explained in another blog how to view the fear as a tool for your advantage, rather than constricting your life. Here is a paragraph from that blog to explain. ...I have come to recognise that Fear is my companion and with it, I can be Fearsome. I know it is with me as a tool to use. It sharpens my focus and my motivation. There are times when the fear is not real as it does not know the difference between a dangerous situation and when it is something that is just new to me. I understand that fear has a purpose and wants to keep me safe, but I don't let fear drive my life, it can come along for the ride, offer some advice but I will choose whether I pay attention to fear. It is not going to get in the way of my big life, my dreams and my expression. When you are in the middle of tough times, it is very difficult to rise above the situation and glibly say oh, this is my motivation, bring it on. Everyone has their own unique story and the degree of hardship we are to face and the choice of what to do with it. Your attitude to view the challenges head on comes with preparation and with practise. Viktor Frankl would be one of the unique and most told stories of a man who prepared and strengthened his view and mindset of how to live his life in a prisoner of war camp and claim victory. Chris Gardner's life portrayed in the movie The Pursuit of Happyness, who went from homeless to CEO. His motivation was stronger that his circumstances. J.K.Rowling who persisted and believed anything is possible and realised her dream as an author. When you want more proof to see your challenges as a fire for your motivation, ask others about their unique stories. Be curious about the how, what, why of their stories of triumph. History is full of how others in the community have used the challenges for improvement. You are part of that community. You prepare by filling your thinking with the knowledge that your inner resolve is getting stronger and stronger and your challenges will be faced as a catalyst to live a big life. Your practise is an expression of the preparation you have put in. When desire fuels commitment and meets with action you will get your results. 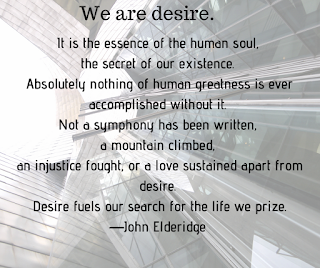 Desire causes you to reshape your thinking and challenge the current view. 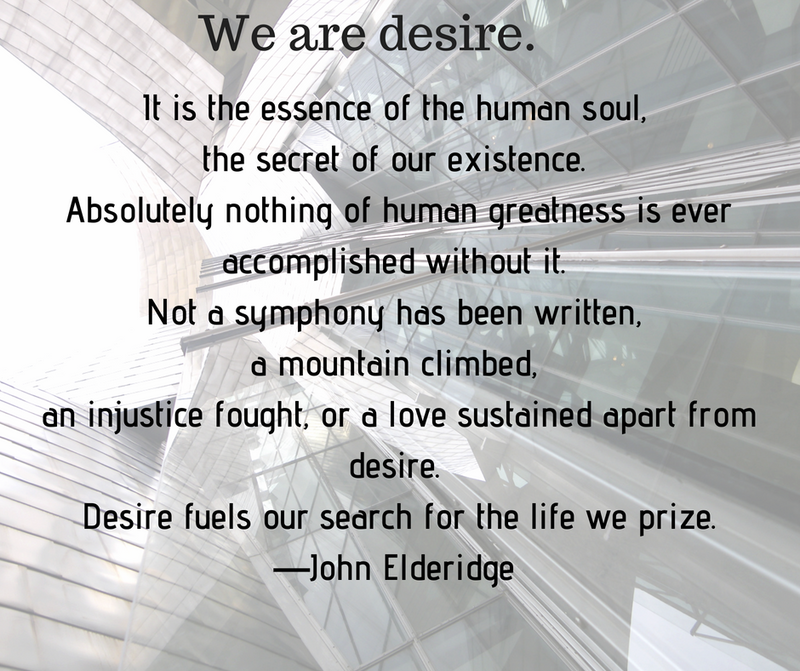 Desire strengthens your focus, points you in the right direction. I can dream about all that I desire in my life. I can plan and imagine what it will look like. I can spend my time creating and planning my future. I can make the promises and design the goals. I can nurture certainty in what can happen. These mental upgrades I can do, while sitting on the lounge. Now Add Commitment to this Desire and Action follows. Commitment will cause you to add and subtract the daily actions to meet this desire. Notice your reaction, be aware of the conditioned responses, the pull back and push through. Expect it will be uncomfortable at first. Set your priorities, do what matters, make the moves. That is the change maker for seeing the desire you have for your life become your reality. Desire requires your commitment to action. Stay the course and expect the outcome. 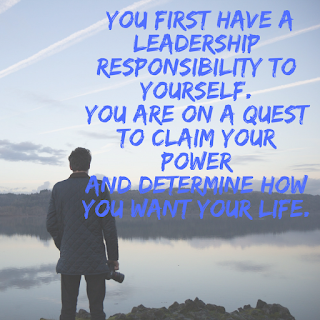 I will start with the given; that you are always in a leadership role when it comes to your life. You may not want to be a leader of a group but in every way how you live your life you are a leader of one - you. The decisions you make, your connections and community shows how you choose to lead yourself. Are you satisfied with how you are leading your life? When you are certain and agree that you first have a leadership responsibility to yourself, you are on a quest to take back your power and determine how you want your life. 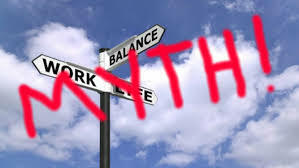 It's the no excuse policy and a tough one to hold as a truth because there are so many competing and defeating beliefs that have held your attention. Leading yourself requires that you know that what you need is there for you...the teacher, the ideas, the courage. It is a step of trust. Declare that you have the right amount of time. Everything you need includes time. When you master your time you are trusting your leadership. No such thing as procrastination or running out of time or losing time. Procrastination is a marker that signals you have no power over your life. You develop the capacity to be sure of your intentions, you plan and proceed with grace and calm as a master of your time. Create a detailed plan of how to proceed. Detailed plans can be such a chore. We may look for more ways to get out of this one rather than just do it. Decisions have to be based on the research, planning and plotting for them to be the best informed decisions. It needs to be done. Be inventive as to how you put together your detailed plan. Use vision boards, mind mapping, visualisation as ways to create the journey of how you want to proceed. Look for inspiration from other leaders. People who inspire you, who show their leadership no matter what their situation and lead with integrity and strength. These true stories are so delicious and will reward you with their insight. There will always be one small action or words that will make a difference and expand your thinking. Morning ritual....The repeating acts you do when you first wake. The motions you go through every morning to set up your day. It can slide from one extreme to another and it takes a decision to find that balance to act upon rather than react to how I want my morning and my day. It is a constant look at what I can do to fine tune the morning ritual for a better life. Do you know these typical morning rituals? Is it the Zombie walk...wake in a fog, shower and then coffee to really wake up. 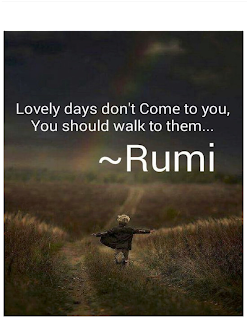 The day is scattered with energy highs and lows, the mind is on auto, you seek out mind numbing escape and wish that maybe tomorrow will be better. Perhaps, it is just the opposite with frantic pace to get up, get out and make it happen with a few drinks at the end of the day to cool down and an inevitable knowing that tomorrow will be the same, because that is just how it is. We all know the morning ritual you have in place sets up your day. Zombie or frantic is not want we really want, we want better than this. The deciding factor is when you intentionally create a morning ritual that will lay the groundwork to strengthen your direction and lead you to be healthy, focused and fulfilled. Start with one small change. Wake up 15 minutes earlier. You can use an alarm clock, set a timer up in another room, try anything that will work for you to see you wake 15 minutes earlier. After a while your body will naturally wake up at this new time. What to do with those added 15 minutes? Your ideas are the best ideas. You have planned what to do the night before. Start with a large glass of water and then you may like to stretch, walk, breathe in deeply the morning fresh air, read, listen to music, write what comes to mind. Use your 15 minutes to raise your feel good energy. When you are ready wake up 30 minutes earlier. Again, you have planned your morning ritual. Add your goals steps, set your intentions for your tasks and how you will see them happen. Meditate to connect and calm. You are seeing your day full of possibilities. Your 30 minute morning ritual of self care develops to be a part of you, who you are and what you do. You would not miss it for anything. You may want to extend the 30 minutes to 60 minutes now. Pay special attention to your morning ritual, it is the beginning that will reward you and create a better day. Do you believe that for happiness to be a part of your life there is a bargaining game that you do to manifest happiness? The if....then model of thinking and believing anchors our worth on how we act and react to the world around us and within us. It is the cause and effect programming that our upbringing and culture have instilled in us. Dare I say to even control us. The practise of this mental model cements the idea that your worth is not tangible until you have proved yourself with effort, hard work and striving. Then happiness will follow. When you stick to this belief, no matter how far you go, or how well you do there will always be the need to look for other ways to prove the if...then model for your life. It can be a recurring cycle that keeps you just out of reach of that elusive happiness. When you think if...then you are conditioned for surviving, scarcity - a definite block to happiness as part of your life. Happiness, contentment, worth doesn't thrive in the if...then model. There is one strong way to break this mental model and that is the the power of gratitude. There is immense power in gratitude, gratitude is like a magnet that attracts for your highest good. 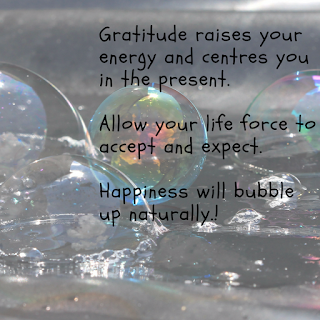 Gratitude raises your energy and centres you in the present. Swap the if...then with I am thankful for who I am and where I am. Allow your life force to accept and expect. 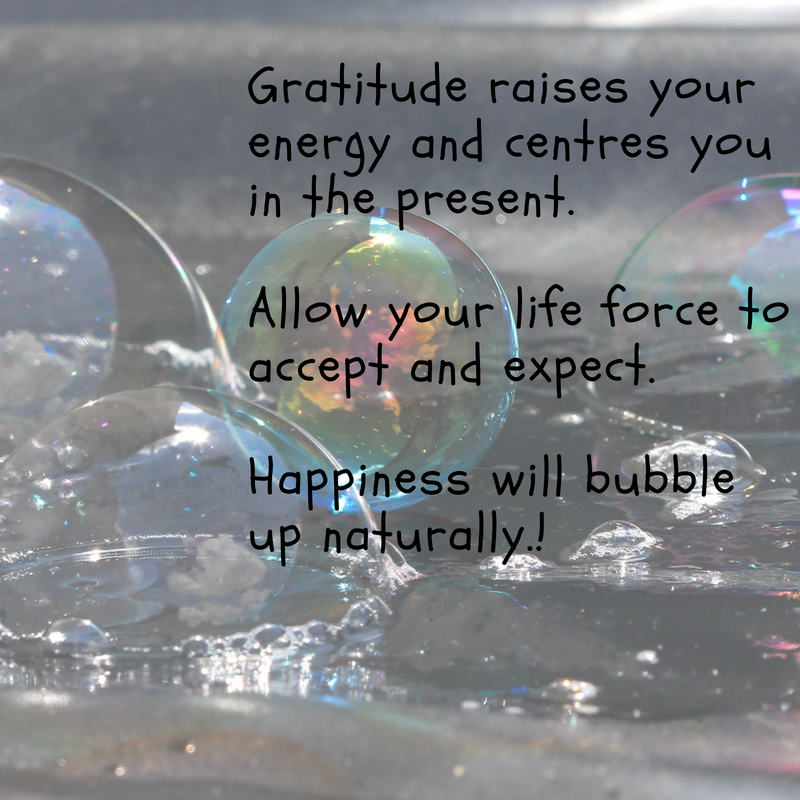 Happiness will bubble up naturally.